This single family, detached home is located in the heart of Laguna Niguel and is just minutes to the ocean. It sits at the end of a cul-de-sac and faces a lush hillside greenbelt. 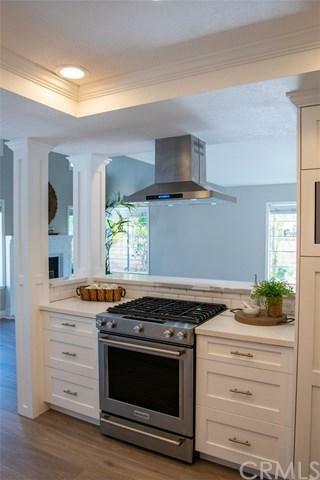 GORGEOUS, REMODELED KITCHEN has been opened up to the living room and has all custom hand-built, white, shaker cabinetry with soft close drawers/doors (you won+GGt believe the storage). 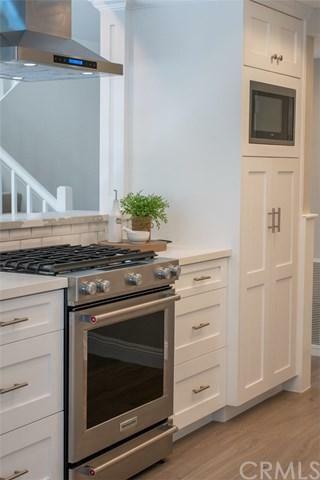 Quartz counters (higher-end Calcutta) & beveled subway tile backsplash. 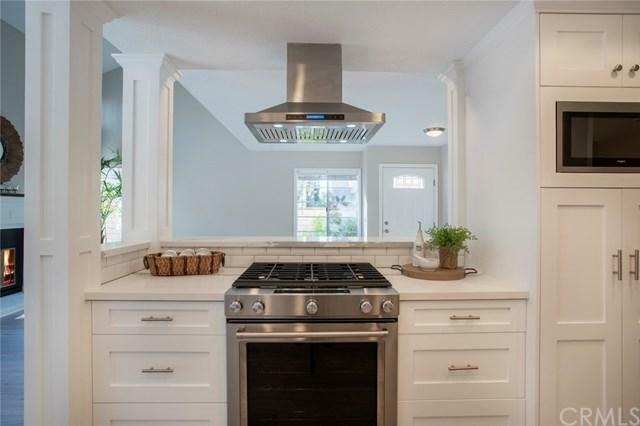 New high-end, 5-burner Kitchen Aid gas range, Kitchen Aid dishwasher, Cosmo range hood, pull-out pantry drawers & breakfast bar. Wide plank flooring in beautiful gray/beige & new carpet upstairs. 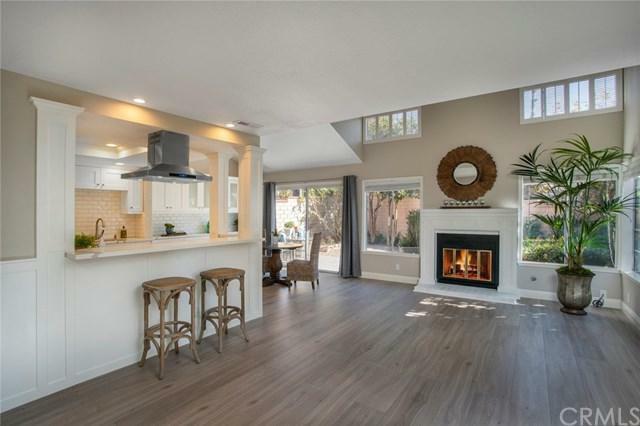 Living room has high ceiling (all new LED recessed lights), many windows & a remodeled fireplace to match the kitchen. Remodeled half bath, includes a custom built vanity with quartz counter. Large master bedroom with high ceiling, ceiling fan and a row of windows that give a view to the lush hillside. All 3 bedrooms are upstairs (loft has been converted to a bedroom). Gated front entry leads you to the front door and a wrap-around yard with Trex decking in the back. Air condenser is about 2 years old. Water heater is about 3 years old. Newer garage door and opener. Catch a fantastic hiking trail right in the neighborhood. Bike path entrance nearby that dead ends at the ocean. Award winning schools. Live less than 5 minutes to the ocean. Sold by Wayne Chang of Keller Williams Realty. Listing provided courtesy of Kelli Walters of Coastal Hills Properties, Inc.